After our short stay diving near Kennedy Island, we headed for Noro and cleared out on Monday. Now we're anchored for the night at Tetepare Island, around 30 miles to the southeast. Tomorrow, we'll head out towards Papua New Guinea. We're headed for Alotau; 450 miles away. It will take us 3-4 days. 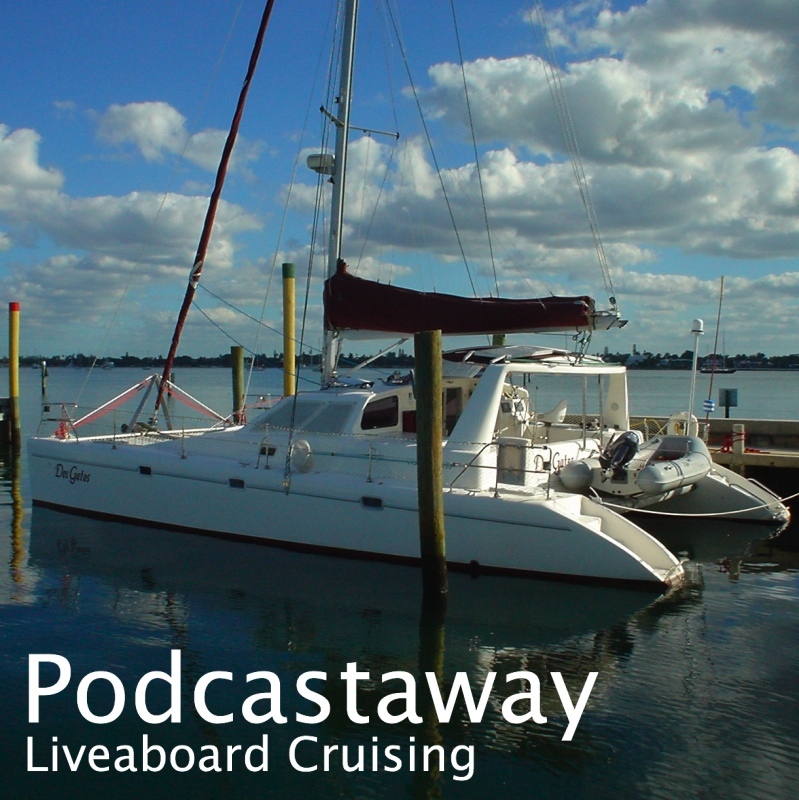 I have posted Podcastaway #39, an account of our stay in the Solomons. It can be downloaded from my podcast page. http://podcastaway.libsyn.com. We're anchored off Mbambanga Island about 5 miles from Gizo. 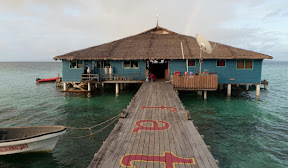 We're quite near a resort called "Fatboys: Heaven on a Reef" and we went in there last night for one of our rare meals out - only the second dinner out since we came to the Solomons - the food was good. We're about a mile from Kennedy Island - which I previously mentioned in conjunction with JFK and PT-109 - and we went to dive there yesterday, on the outside slope of the lagoon. Today we dived at the nearby One Tree Island which, as it happens, has no tree on it - washed away by a tsunami in 2007, reportedly. In a day or two we'll move on, clear out of Noro early next week and look for a weather window to leave for Papua New Guinea. 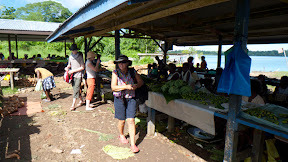 We're anchored near the end of the runway at Gizo's airport. This has an island all to itself (Nusatupe) about 1.5 miles from the town. The line of the runway is about 50 yards from us so it's interesting when planes land. Happily they have only 2-3 flights into here each day. This morning, our guests (Martin's son Nick and his girlfriend) left on such a flight. We picked them up 10 days ago at Seghe 80-100 miles from here. We then motored through Marovo Lagoon and spent a couple of days diving on the outer reef edge. Then we traveled overnight (to save days spent traveling) to Mbaeroko Harbour, and from there to Rendova with a stop at Noro for shopping. 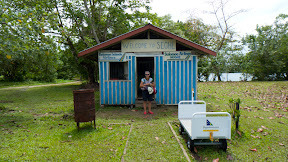 After a few more days diving at Rendova, we came to Gizo. Tomorrow we'll move nearer the town and spend a couple of days provisioning for our departure from the Solomons in the next week of so. We spent three weeks at Peava and made about a dozen dives. Half were with Solomon Dive Adventures and half were on our own. From our own dinghy we dived the Peava lagoon wall and a reef off the neighboring community of Kavolavata. With SDA we went to Kicha and Mbulu Islands. We also made a couple of night dives inside the Peava lagoon. We finally left Peava on Saturday - running from big seas and strong winds as it happens - in order to reach Seghe on Monday to pick up visitors. 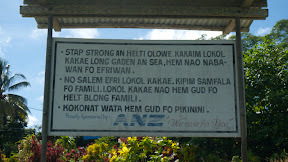 They'll be with us for two weeks and we'll drop them off in Gizo.